If you've been following the well earned ascendance of Inada's massage chairs and their branding as the best massage chairs in the world, you know they set the gold standard for the industry. Assembled in Japan, with all Japanese-made mechanical parts (and a mix of Chinese and Japanese parts that aren't mechanical), the craftsmanship, attention to detail, quality, and excellent warranty are unrivaled. The original groundbreaking Sogno (which you can sometimes still find at a discount), later replaced by the DreamWave, is one of the best selling in the world. The Flex 3S followed and was also a huge success, with a smaller footprint and a significantly more affordable price tag. You can check out price here, but we suggest to read the whole article. The latest to hit the market is the Nest, and it's got some impressive new features, which set it apart from the pack. We all know the benefits of massage. From treating depression to anxiety, to cancer patients, the benefits of massage are massive. One of the hardest things to find in high quality massage chairs these day, is innovative technology. Like most things that have been developed to the edges of the current engineering capabilities, it's rare to find a list of features that isn't the same as others in the same class or category. Here are the features that really set the Nest apart and show Inada continues to be on the edge of massage chair technology. 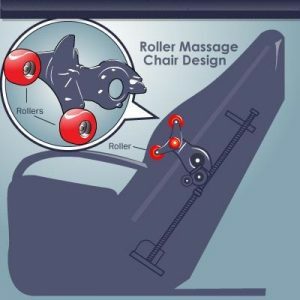 Most roller balls in massage chairs are smooth and curved, sort of like the wheels on a pair of rollerblade skates. While they vary in size, sometimes a little in shape, and the track they follow along your back and or neck, they are generally the same and have been since their introduction. The roller balls on the Nest, however, are nubby. They look like those miniature pumpkins that show up around the holidays every year, with ridged circumferences. These wavier rollers can get more traction and really dig deeper into the muscles along your spine and around your shoulders. A good deep tissue Shiatsu massage works wonders as we all know, relieving tension and soreness, but these ridged roller balls take it a step further and can really work out the knots in your back, more like a massage therapist can. The Nest has the highest intensity massage of any in the Inada line. You can adjust it to the level that you prefer, but if you like a deep, intense massage, the Nest delivers. The combination of high intensity, the three dimensionality, and the nubs on the rollers work harder than any other roller system. If you're always reaching around your back, trying to get to that spot behind your shoulder blades (these are your levator scapulae muscles) to dig out a knot, twenty minutes in the Nest will change your life. Not only do the redesigned roller balls dig deeper into your muscles, the Nest utilizes 3D LR quad roller technology, which means the two on the left and the two on the right work independently of one another. So, imagine a razor scooter, where you can operate each set of wheels on its own. It's like that. You can adjust the rollers to give you a different level of intensity on each side of your back. They also reach all the way down the back to the buttocks, so you get a full body back massage that delivers high intensity, customized and personalized to your back muscles. You know how sometimes you sit in a massage chair, and one half of your back feels great, but the other feels like you're being tortured? No more. Now you can treat the areas of your back to the exact specifications that you need. If one side is tighter than the other, the loose side doesn't have to get beat up. Another great feature of the rollers is that they're super quiet. So, no more listening to the motor of rollers while you're trying to relax and ease off the stress of the day. Dishwashers did it a long time ago. It's high time massage chairs followed suit. A lot of chairs have shin massage, but the Nest takes it a step further. The air bag compression massage wraps most of the way around your lower legs, so you get coverage in the shins and calves and a great air bag massage. 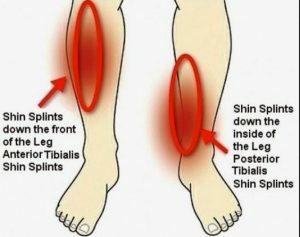 But there's also a slot in the shin area into which you can slide a flat piece equipped with little nubs that dig into your shin (anterior tibialis) muscles. This is a great benefit if you have tight calves. Runners who are prone to plantar fasciitis or just have tight shins and Achilles will love this. It's very difficult to get relief and a deep massage in this part of the shin, and the Nest does a really good job of going deep and intense here. The combination of excellent air cell compression with the nubbed deep action massage are magic on the lower legs. As you recline or incline the back of the Nest, the headrest adjusts with you automatically, following the shape and length of your head and back body. 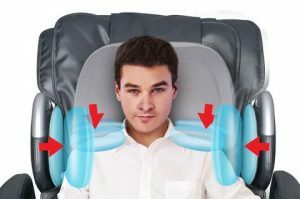 This is a nice innovation, as most of the time, as you recline in other chairs, the headrest stays static, so if you're anything other than average sized, you have to kind of either wriggle around to keep the headrest under your head, or you just lose some of the massage surface area. Both sides of the headrest are also weighted down, so they stay in place instead of scooching up under your chin when you recline or move around. This is a sophisticated, technologically advanced massage. The Japanese-made chairs have the best engineering, and the massage techniques and intensity levels are best in class, so while you sacrifice some of the more generic features you’ll find in other brands, the massage you get with the Nest is the most nuanced and therapeutic. Full arm and hand massage. Many massage chairs neglect the hands and give a run-of-the-mill arm massage. Not so with the Nest. You get an intense air cell compression massage on the hands, wrists, forearms, biceps, and shoulders. Excellent and high quality hand and arm coverage. No heat. Many chairs, in the Inada family and other brands, incorporate heat in either or both the seat or back, the Nest has no heat feature. No foot or calf rollers. Japanese chairs don’t incorporate rollers in the feet or calves. Just air cells compression, so if rollers are a must for your feet or calves, you’ll need to look elsewhere. No zero gravity feature. You can’t recline to a full body zero gravity position with your feet elevated above your heart. This is a nice feature if you want to relieve your spine of all weight and compression. While the DreamWave is the flagship chair for Inada, what you'll get in the Nest is a smaller footprint and more advanced roller system. The DreamWave does have heat in the seat and back and 135 more square inches of coverage, which shows in the bulk of the chair. If preset programs are high on your list, the DreamWave will slightly win out over the Nest, as it has 16 where the Nest has 11. Finally, if genuine leather is a must, you'll have to go DreamWave. The Flex3s is a comparable chair in terms of its size. It blew up the scene when it emerged with the groundbreaking stretching feature, which is now found in many models and brands. It also has a small footprint like the Nest, but you won't get the excellent neck traction feature that you get with the Nest. If you want to hit the neck, you have to use the manual settings in order to move the rollers into place, and it's much less effective. The traction neck massage is transformative and does a great job relieving tension and stress in the head, neck, and shoulders. Neither has heat, and both have 11 preset programs. The Flex 3s also has 65 fewer cubic inches of body coverage. We all know we need to get more massage in our lives, but how, when, where, and for how much money remain the hard questions to answer. If you have the budget for a home massage chair, the benefits are immeasurable. Research blows up any notion that it doesn't benefit us in myriad ways.